Stadiums are very important for football teams because they are “home” for supporters and players. Many of them are famous for the atmosphere created by fans or for their history. A supporter knows that to see a match at the stadium is better than at home, because emotions are greater. 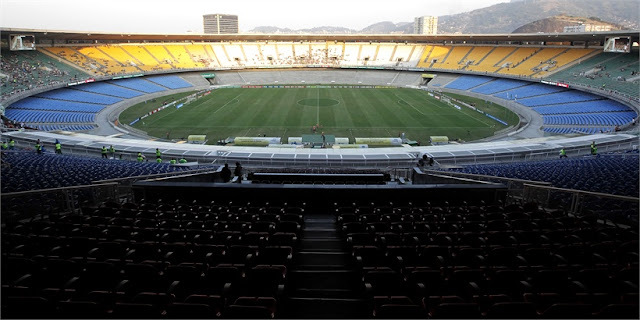 · the stand, the area behind the soccer gate: here tickets are less expensive. In the stand there are the “ultras”, fans who incite their team to the victory with choirs, waving flags and scarves. Inside important stadiums you can find museums, with trophies, t-shirts and gadgets of the teams, but also restaurants, bar and shopping centres. Let's discover some important and beautiful stadiums in the world. 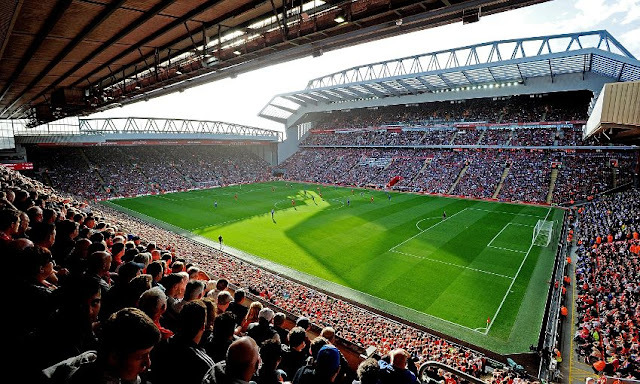 Anfield is the house of Liverpool F.C. and it is one of the oldest stadiums in the world: it was built in 1884. The capacity is of 54074 seats. At the beginning of Liverpool matches this stadium becomes all red (Liverpool’s colour) and the supporters sing the most famous hymn in the world: “You’ll never walk alone”. 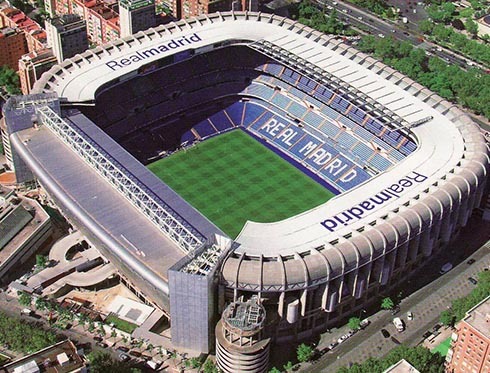 Real Madrid plays home games at Santiago Bernabeu. The name is in memory of Bernabeu, Real Madrid‘s ex president. The capacity is of 81,044 seats. It is a fantastic stadium opened in 1947 and during these years it has seen a lot of important final matches, like 12 Champions League. In the other side of Madrid we find the “Wanda Metropolitano” where Atletico Madrid plays. This stadium was opened in 1994 and renovated in 2017, replacing the old stadium of Atletico Madrid, the Estadio Vicente Calderon. The capacity is of 67, 703 seats. This stadium is very innovative and there is a fantastic atmosphere during the matches. 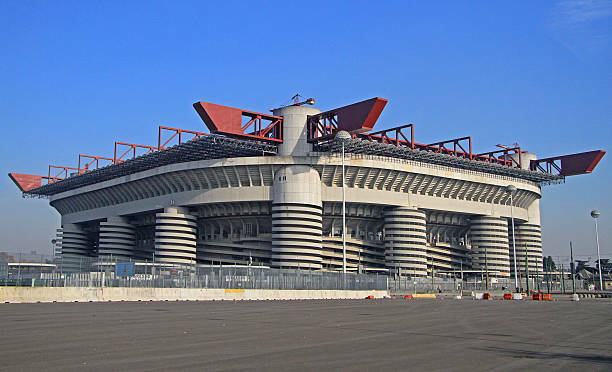 It is also known as San Siro and it hosts two teams of Milan: F.C. Internazionale and A.C.Milan. The capacity is 80, 018 seats. It is the most capacious Italian stadium and it is one of more famous stadium at international level. It is dedicated to an ex Inter footballer, Giuseppe Meazza, who scored 242 goals in 365 games for the club, winning three Serie A (the most important Italian championship). This is Bayern Munich’s home with a 75, 000 seats. 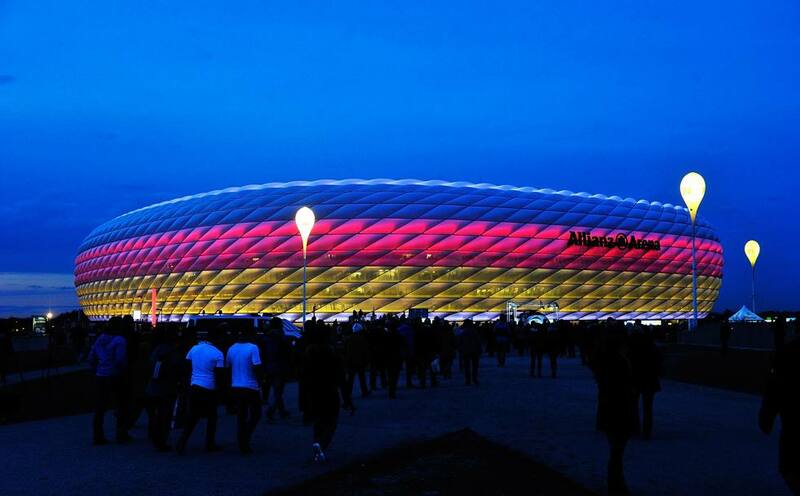 The large financial services provider Allianz purchased the naming rights to the stadium for 30 years. It is the second-largest arena in Germany and the cost of construction was of €340 million. It is the first stadium in the world with a full colour changing exterior, because its exterior is made by ETFE plastic panels. Have you ever been at the stadium? Which ones have you been to ? What is your favourite stadium? Perfect timing, boys. It's the weekend, so time for football!!! 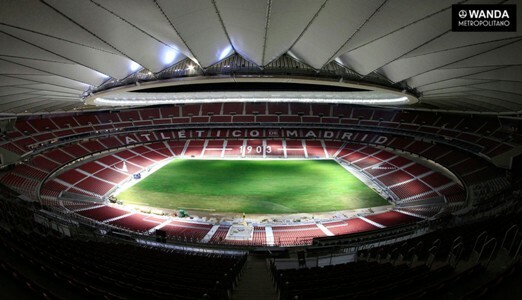 I would like to visit Athletico Madrid's new Stadium!